Our program is built on the volunteers that come out and help during our events. Without them, there would be no Ottawa BMX. If you are a parent of a racer, you know that the time your child is on the track is only a fraction of the time you are actually at the track. Why not come out and help! Most of the volunteers are parents of racers; some are retired racers from “way back in the day.” We even have a few racers themselves who volunteer between their motos. ​Responsible for monitoring the riders on the track for any illegal moves, riders who intentionally cut the track, and assisting as needed with any rider who has fallen. ​Responsible for keeping the track moist (not wet) to keep dust at a minimum and provide track durability. Responsible for providing medical assistance as needed to racers and spectators and filling out accident reports as needed. Medical experience is necessary. This is usually done on a non-race night or weekend and the track director must be present. This can include anything from packing the track, raking the track, filling in washed-out areas, repairing fencing, maintaining electrical units and lighting, mowing grass, picking up loose trash in the track area, etc. 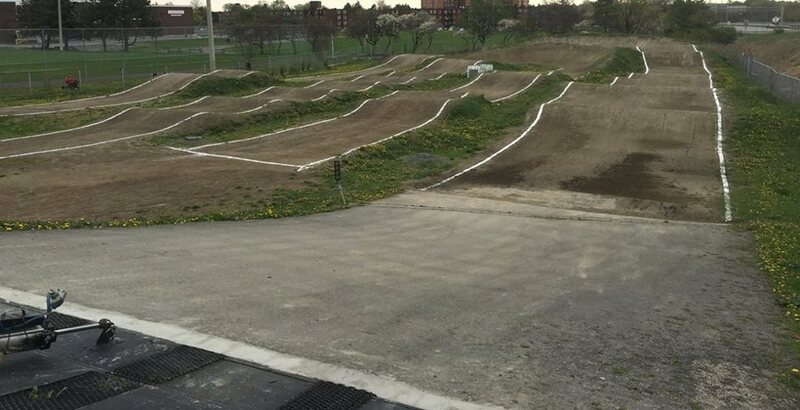 We also need help sweeping the track the day of the event. If you would like to help with track maintenance, please contact us by Email.